Get ready for a post about a First World Problem: flight delay. Our Delta flight from LAX to New Orleans didn't start out well, but a comedy of errors made it worse and worse. First, the gate kept being changed. We felt like cats chasing a laser. Then they said the airplane was "broken." When they finally got a new plane flown in 4 hours later, no one was available to fly it--the original pilots had "timed out". So we had to wait a few more hours for new ones to be flown in. Yes, the new pilots had to be flown in. Like from another airport. In the meantime, the ground crew kept trying to give us updates. But each update was a report of a new setback. By the twelfth announcement, all they did was make everyone even angrier. Long story short: instead of taking-off at the time it said on our ticket (5:20 p.m.), it was 11:40 p.m. If you're counting, that's more than a 6 hour delay. And it put our arrival to The Big Easy at 5 a.m. Saturday instead of 11 p.m. Friday. Delta did try to make amends by giving us snacks and soda at first, but when they saw that some of us in the terminal were getting "hangry" along with getting angry, they brought the big guns: free Subway sandwiches and chips. By that time, we had already eaten. It turns out that there's no better Concourse in LAX to be delayed than the one we were in. There was bevy of new eateries here, not a single one of them McDonald's or Cinnabon. There was a Lemonade, Rock & Brews, a food court with the Fairfax Farmers Market greatest hits, and Ben Ford's (yes, Han Solo's real son--no, not the one that killed him) Filling Station. We ended up at a restaurant called Skewers because my lovely travel companion saw a picture of a beef bowl that she thought looked particularly scrumptious. 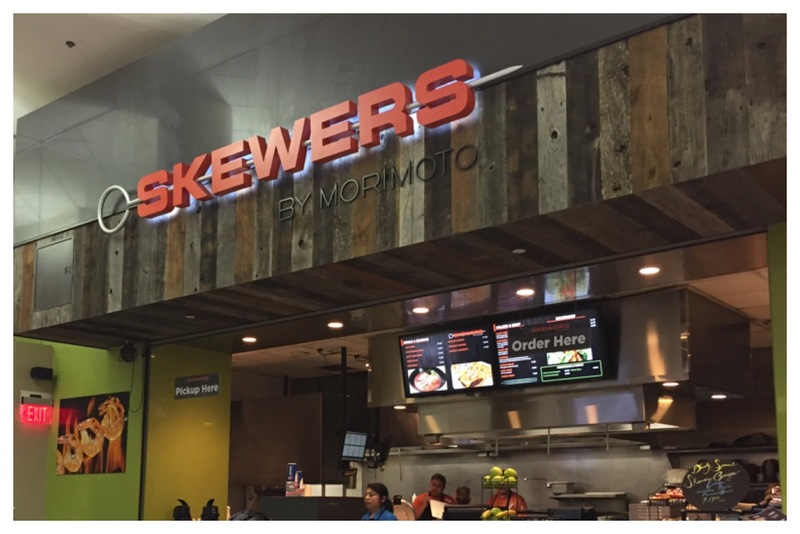 But it wasn't until I went up to order it that I realized Skewers was conceived by none other than Iron Chef Masaharu Morimoto. Then it all started to make sense. I saw kushiyaki being grilled on an actual robata. I witnessed ramen noodles boiled to order and shaken vigorously to get rid of excess water. And when I tasted the thin strips of meat in my $14 beef bowl, it was tender and melting despite having very little fat. This was one of the bests Japanese gyudons I've ever had. The flavor was the exact right balance of shoyu-mirin-and-dashi. The freshly toasted sesame seeds sprinkled on top were aromatic. Even the rice was excellent. 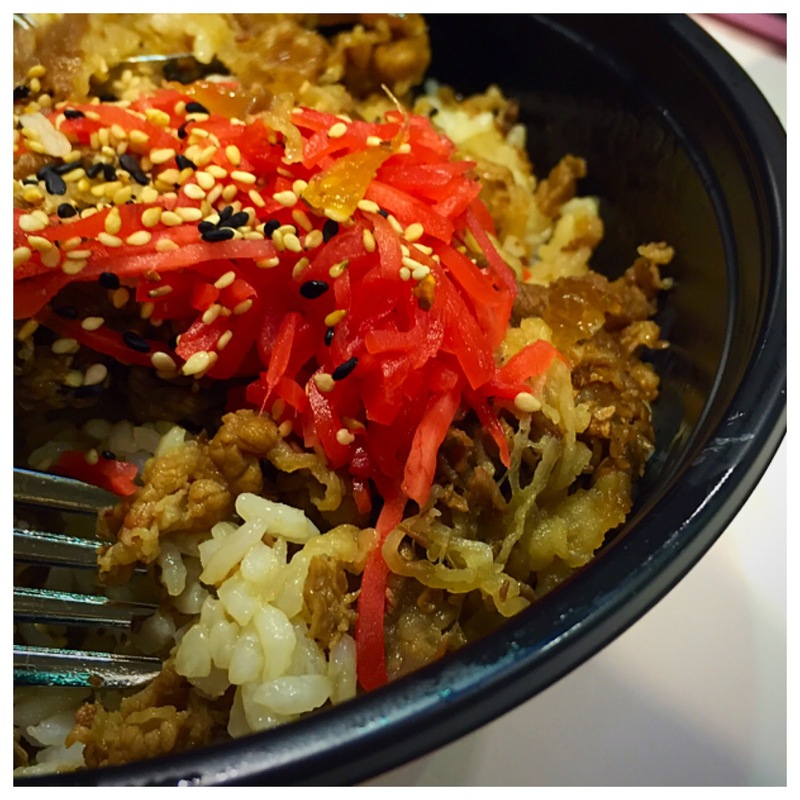 It was everything Yoshinoya beef bowls (which I love) could ever hope to be but never are. Still, it was a $14 beef bowl. But that's fine because it reminded me of a Jerry Seinfeld joke when he said: "Do you think that the people at the airport that run the stores have any idea what the prices are every place else in the world?" Ah, Jerry Seinfeld, what kind of comedy gold could you have mined from that 6-hour flight delay? A couple of years ago my aunt and uncle came to visit from Australia. We thought it would be funny to take them to Outback Steakhouse. But crikey! The joke was on us. My uncle--a retired sheep rancher who can still shear a ewe in the time it would take me to take off a turtleneck sweater--actually loved it. He was tickled at the mishmash of Australian jargon used on the menu, the boomerangs on the wall, and the kangaroos in the logo. We even took a picture of him in front of the Outback sign so that he could show his friends back home. Even more surprising, he actually enjoyed the food. And, you know what? So did we. 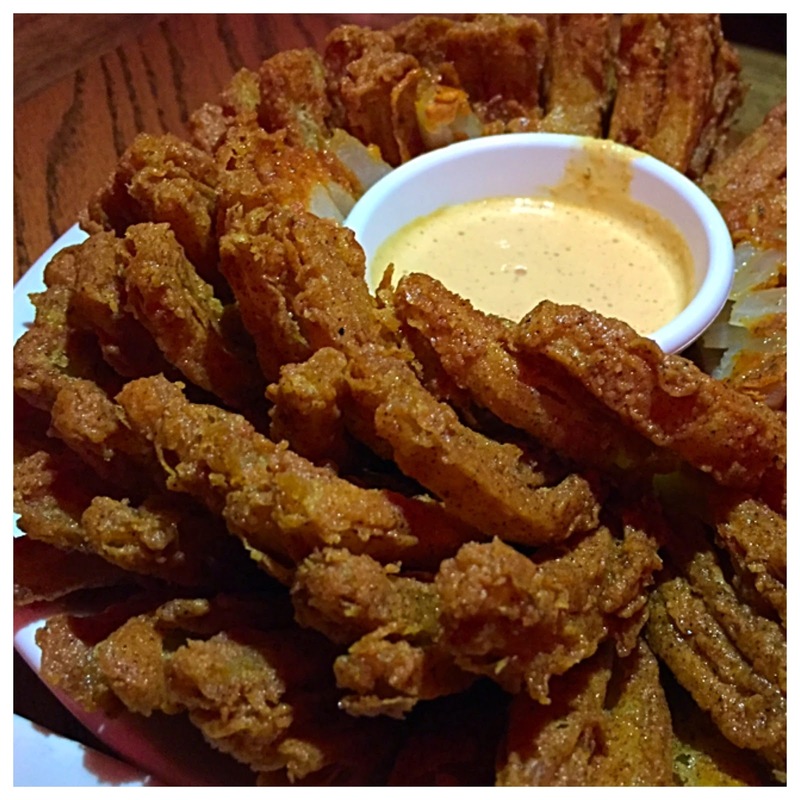 Outback Steakhouse, which is more Florida Gator than Crocodile Dundee (it started in Tampa), is, to put it plainly, a well-managed restaurant. And since that day we took him, we've actually gone back many times. We've now grown a soft spot for it ourselves. The complimentary brown loaf of bread is always hot and good. 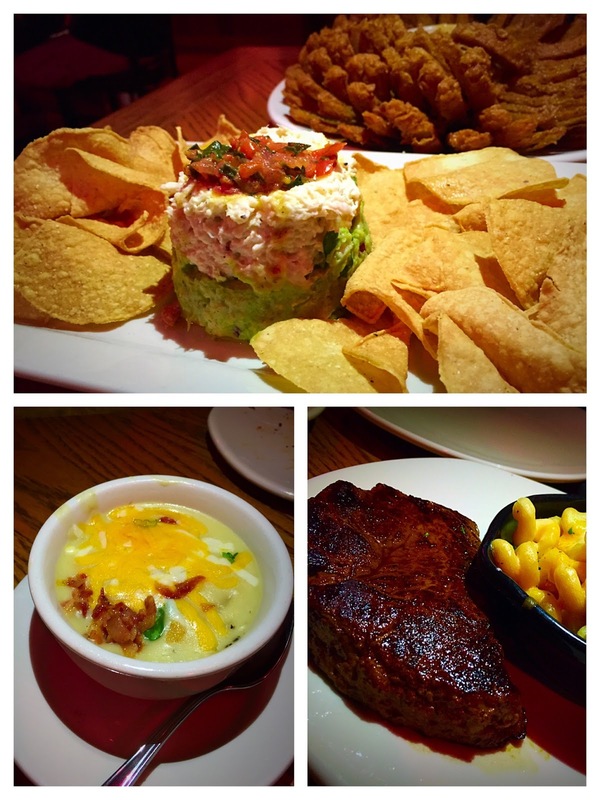 The steaks are decent, the crab stack appetizer is immaculate, and the soups are hearty (if a little oversalted). And yes, I can even occasionally tolerate the Bloomin' Onion, or at least I can until I realize I'm slowly killing myself by eating it. But more than anything, what we like most about Outback is that its servers, especially those at the Irvine branch, are not just attentive, but also remarkably chummy and cheerful. They are friendlier and more welcoming than most of the servers I encounter at a lot of the independent, non-chain eateries I frequent as a food critic. And every time we go to Outback, it always reminds me of that time we took Uncle Robert, a man I consider more Australian than Paul Hogan and Steve Irwin combined. I still remember what he said when we asked him what he thought about the place. He said, "It's noice!" If you sit for any length of time at Dolce Gelato, you'll see the little slide show that this gelateria plays on a loop on its flatscreen TV. The place is proud of being an independent, family-owned, single-store shop unique only to Laguna Beach. But what it should really be proud of are the amazing gelatos, which exist in flavors you never thought could or should be mixed with sugar and milk. One night, I saw basil, chocolate habanero, and "bread and butterflies", which is the flavor of brown butter and country bread. And when you see something so wild that you ask for a sample, it will taste exactly like that flavor because whatever it is, that thing is actually in there. The Ferrero Rocher gelato I finally committed a whole cup to tasted exactly like it, with the essence of the creamy chocolate, the roasted hazelnut, and the wafer shell all churned into the crests of its soft-frozen waves. It was uncanny. But then I didn't expect anything less from the place. I consider it one of the best gelaterias in Orange County. 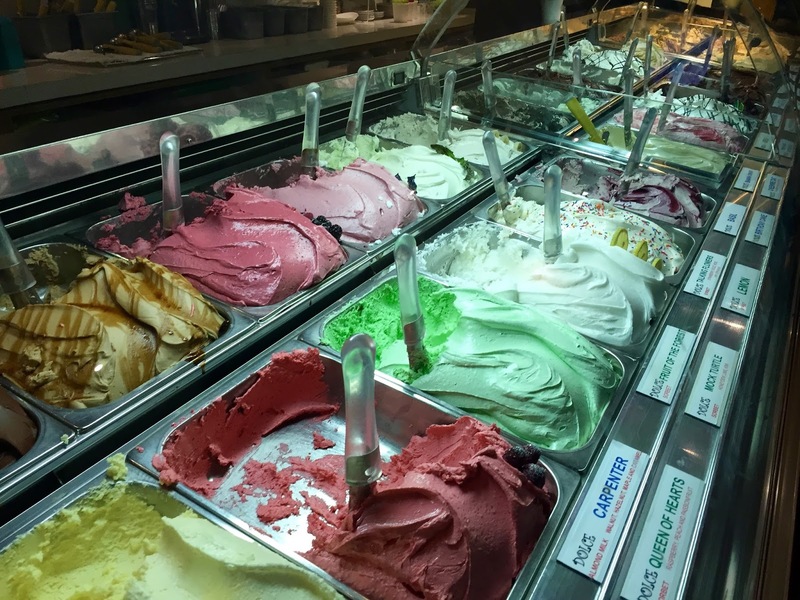 Each flavor is made on site by a chef/owner who does nothing else all day but make gelato. If gelato making was your chosen profession, you can only hope you could do it as well as she does.